Take your clinical skills in Magnetic Resonance Imaging forward in a range of settings of increasing complexity. Applicants should have a minimum of one year of clinical experience in the clinical speciality in which they wish to study before starting the course and should continue in clinical practice while on the programme. NB: Students should be working as a radiographer in a Magnetic Resonance Imaging department at least three days per week (or equivalent). For applicants whose first language is not English an IELTS score of 7.0 is required with no less than 7.0 in each component of the test. of Radiography graduates in employment or further study within six months of course completion (2015 DHLE data). *Fees in each subsequent year of study (where applicable) will be subject to an annual increase of 2%. We will confirm any change to the annual tuition fee to you in writing prior to you commencing each subsequent year of study (where applicable). 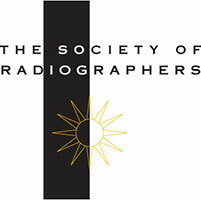 Students should be working as a radiographer in a Magnetic Resonance Imaging department at least thre days per week (or equivalent). City is unable to provide a clinical placement. You will learn through a mix of lectures, class discussions, seminars, presentations, case study analyses, interactive computer-based exercises, a virtual learning environment, guided independent learning and individual supervision. You will be taught by City Academics who specialise in Medical Magnetic Resonance, Radiologists, Industry Professionals and Radiographers. You are assessed on a range of areas including your project dissertation, exams, written assignments, oral presentations and posters. Core and elective module diet will vary depending on which certificate is undertaken. RDM017 Clinical Applications of Medical Magnetic Resonance (30 credits) - year one, term two. Both these classroom modules involve two three-day blocks of teaching totalling thirty-six hours (six hours per day). HRM011 Introduction to Research Methods and Applied Data Analysis (30 credits) - year two, term one. The remainder of the course will be selected from elective modules. APM002 Dissertation (60 credits) - year two, terms one and two. RDM017 Clinical Applications of Medical Magnetic Resonance (30 credits – 36 hours, classroom based). Only suitable for students with some CT rotation. The postgraduate programme in Medical Magnetic Resonance will enable you to work towards advancing your practice and support a rationale for more senior roles in the profession including specialist clinical practice, management and research. 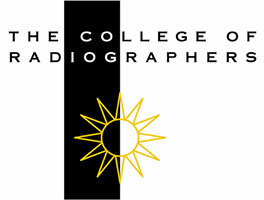 The programme is accredited by the College and Society of Radiographers. Previous students have gone on to take positions overseas, in research, management and advance clinical practice. Some of our students have taken their skills and continued to study to PhD level. Duration: Full-time course teaching takes place two days a week and part-time one day a week (daytime).